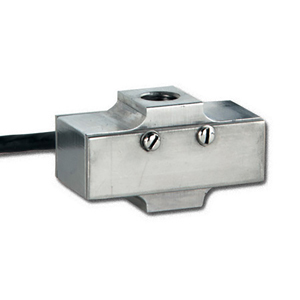 The LC703 Series is an economical universal (Tension/Compression) load cell with an extremely low profile. Ranges above 100 lb are Stainless Steel; 100 lb and below are Aluminum. The LC703’s low profile, economical price and rugged design make it suitable for many industrial applications including robotics, automated weighing systems or as part of a batch-process control system. The LC703 is also available in metric configurations, with 0-5 to 0-500 kgf ranges and metric threads. Please see the LCM703 for complete details, or contact our Pressure department for more information. Note: All LC703 Series load cells include a 5 point NIST traceable calibration certificate.